Police investigators gather near the intersection of East Blacklidge Drive and North Dodge Boulevard, where a police officer fatally shot an armed robbery suspect early Friday. The man who went on an armed robbery spree Thursday, sticking up 10 businesses and attempting to rob at least two others, was shot and killed by a Tucson police officer early Friday after yet another robbery, officials said. Willie Davis Jr., 23, was pronounced dead at the midtown scene of the shooting. As required under Tucson Police Department policy, Sgt. Anthony Kadous, a 26-year veteran of law enforcement who shot Davis, was placed on paid administrative leave. Dispatchers received a 911 call at 4:42 a.m. Friday about a robbery at a 7-Eleven at 3501 E. Grant Road, said Sgt. Maria Hawke, a police spokeswoman. The robber was armed with a small handgun and left the 7-Eleven parking lot on foot. Two minutes later Kadous, who was patrolling in the area, spotted an older model, dark colored Cadillac that matched the description of the vehicle involved in the Thursday robberies. Kadous followed the car on East Blacklidge Drive, then the suspect "ducked into" a dead-end alley between North Dodge and Winstel boulevards, Hawke said. Davis and Kadous got out of their cars and Davis "pointed a handgun at Sgt. Kadous. Fearing for his life, Sgt. Kadous fired several gunshots," Hawke said. No officers were injured and Kadous was the only officer to fire his gun. Investigators believe the Friday robbery was likely the first of the day before Davis launched into another spree, Hawke said. "Robbery tends to be a very serial crime. The people who commit robbery tend to do it the same way over and over until they get caught," Hawke said. Davis began his spree just after 2 a.m. Thursday in midtown, Sgt. Chris Widmer, a police spokesman, said in a news release. 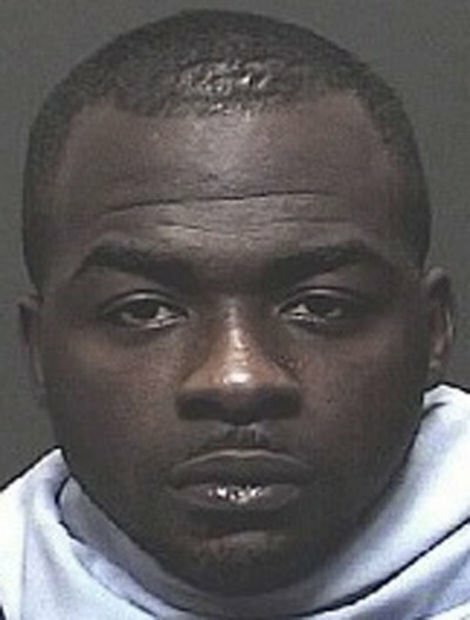 Davis robbed seven Tucson area convenience stores, drugstores and gas stations in five hours and made two failed attempts before moving outside the city limits to rob three more stores in Pima County and Marana. Davis was from Arkansas, but had been staying with relatives in Tucson since November, Hawke said.